Dressings and Bandages, Wound Care, Ear Syringing, Immunisations, New Patient Appointments, Blood Pressure and Urine Checks, Smear Tests, Pill checks, Contraception and Family Planning advice, Well-Woman or Well-Man checks and other Healthy Lifestyle advice. They also have specialist training in order to run chronic disease management clinics for patients with Diabetes, Asthma, COPD, Heart Disease or CKD. The Practice Nurses will also act as a chaperone for patients who request this, and also assist the doctors during minor surgery procedures. The Practice has a Health Care Assistant who takes most of the blood samples for laboratory testing. 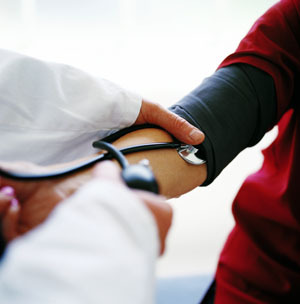 She also carries out the Hypertension clinic, routine blood pressure checks, urinalysis and updates patient records regarding lifestyle information such as smoking and alcohol and ECGs. 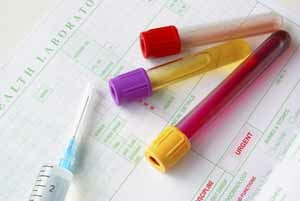 The Phlebotomy clinic is held every weekday morning, by appointment only. The Practice offers specific appointment slots for both implant and coil fittings. If you wish this service, please book a phone appointment to discuss this, with Dr Simpson for implant and Dr Cassidy for coils ( both IUCD and IUS). It would be helpful if you view the information available at the below website in advance of your telephone appointment. Physiotherapy can help you to aid recovery after injury or illness. Physiotherapists treat muscle and joint sprains and strains, as well as neck, shoulder and back pain. They use a variety of techniques which can help you return to your normal activities both at home and at work. As part of your treatment the Physiotherapist will offer advice and exercise programmes to help prevent the problem recurring, and the Physiotherapist will liaise closely with your doctor. Did you know that you can come to see a Physiotherapist WITHOUT having to SEE YOUR DOCTOR? There is a project running within Central Aberdeenshire allowing you to contact a Physiotherapist directly without going to see your doctor first. During your pregnancy you will be looked after by the Community Midwifery team. When you discover you are pregnant you should contact the midwives team for your first point of contact. You will be given an appointment for 10 weeks - your first Antenatel appointment - and asked to pick up a 'Booking Pack' from the Health Centre. At this week 10 appointment you will have a routine health check by the Midwife and a plan for your antenatal care will be discussed. Blood tests will also be carried out. The Community Midwifery Service also provides groups & clinics as well as Intrapartum and Postnatal care. Your midwife can be contacted every day on 01464 - 821532 between 08:30am and 5:00p.m. If you need to speak to a midwife outside these hours phone the unit with whom you are booked for delivery. Chiropody clinics are held at the Insch Medical Practice every Tuesday and on alternate Thursdays. The role of the podiatrist is to prevent or correct foot deformity and maintain normal mobility and foot function. Podiatrists can relieve foot pain, treat infections and any skin, nail or soft tissue problems that may cause concern. Podiatrists can identify medical or surgical conditions that may require podiatric management or provide further referral to other professionals. Podiatrists can provide expert advice in foot health and footwear. Insch Medical Practice now run a monthly Minor Surgery Clinic. The clinic is run by Dr Paul Davies, however referrals can be made by all of the Practice's GPs. Services include the removal of concerning skin lesions and lumps. It should be noted however that this service is not for the removal of lesions and lumps for cosmetic reasons. Not all services at a medical practice are available under the NHS. Where patients request non-NHS items or services, a fee may be payable. A full list of fees is displayed at Reception, some of which may be payable in advance. Our charges may vary depending on the complexity of the request and any associated expenses e.g our fee for a non-NHS lab test will include the laboratory invoice and an administrative charge. Alison Durrand, the Practice Secretary, is able to answer queries regarding referrals, reports, certificates or fees. (select Option 4 when telephoning the Practice). The Practice has scheduled time ( 2pm – 4pm each weekday) for patients wishing to enquire about Test Results. Please select the appropriate option when telephoning the practice. If you call outwith these times you will be asked to call back again within these times.